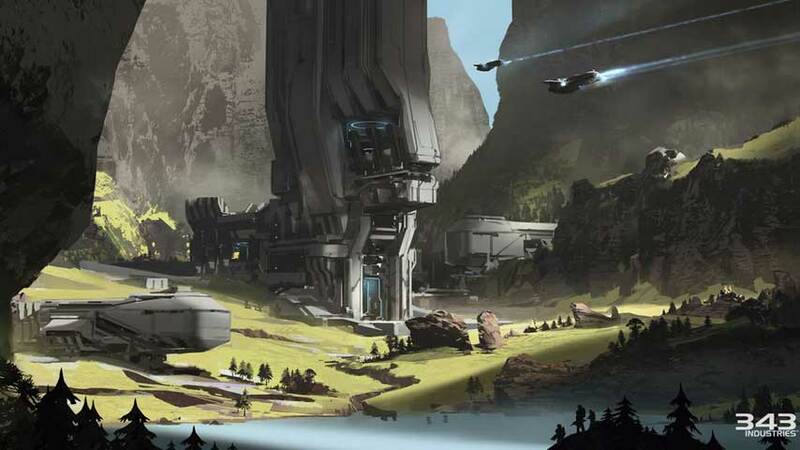 Halo 5 has a map called Raid on Apex 7, which is probably big enough to get lost in. Halo 5: Guardians introduces a new 12v12 mode called Warzone, which requires maps about four times the side of the ones we’re used to. The latest of these maps to be unveiled is Raid on Apex 7, and it’s the biggest so far. A spiritual successor to Halo: Combat Evolved mission The Silent Cartographer, it has players capturing and holding a Forerunner Spire. While battling the opposing team for this key position, they’ll also face off against Covenant troops. “Continue the push for control of the island and take out the opposition’s core, before you awaken something much worse,” Microsoft said. How mysterious. Microsoft showed off the map to mark the first day of San Diego Comic Con, but did so in an unusual manner – rather than show gameplay footage, it built the map out of Mega Bloks. Gamespot has some images and a video of the model. The Xbox One exclusive shooter launches on October 27. Pat had a look at it at E3 2015 and is a little worried Halo 5 is too big for its boots.